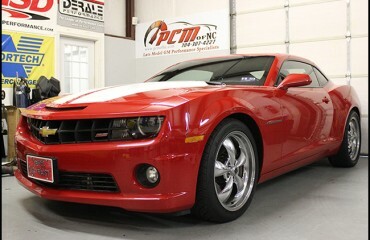 2010 Camaro TVS 2300 ‘LS3 The Force’ Cam, Suspension and Fuel System – PCM of NC, Inc.
After completing an EFI Connection LS ignition swap on this customer’s pristine 1993 Z28, he sent us his 2010 Camaro to work on next. This low mileage beauty already had a TVS 2300 on it, but our customer was seeking more power and said it was time for some cam chop! When we first put the car on the dyno for a baseline, it was already losing 14 pounds of fuel pressure, so we knew his stock pump was not up to the job any longer. 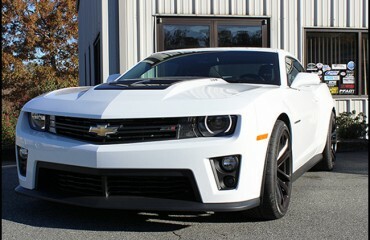 We subbed in a ZL1 fuel pump which would handle his current power level and much more. We also changed out the 52# injectors supplied with the TVS for a set of 1000cc injectors to support more power! 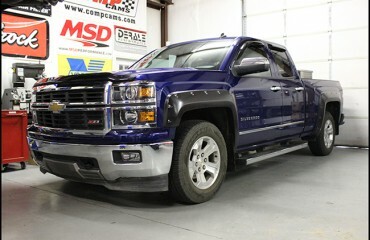 We added our LS3 The Force Cam, giving the customer exactly what he wanted. We were looking for a nice cam sound, but to still make as much power as possible…and in the end, we were able to deliver both. The cam picked up 62hp to the rear wheels and sounded fantastic!! 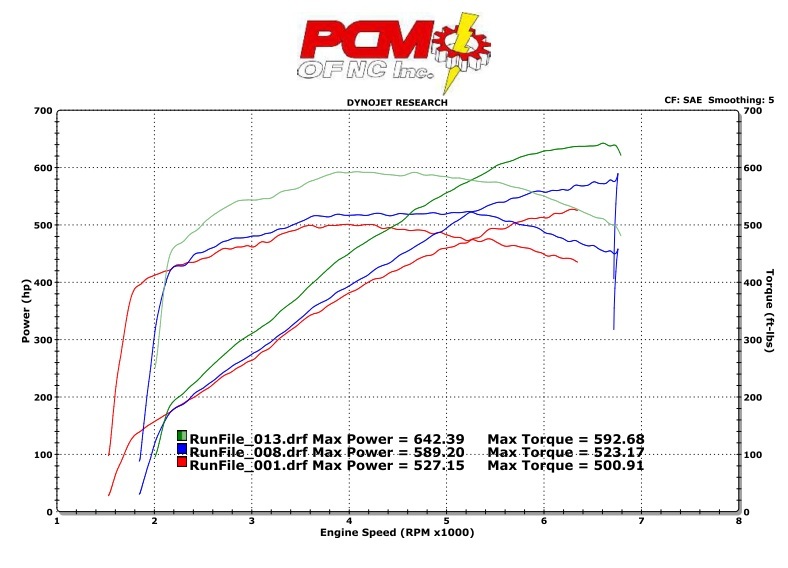 The dyno sheet shows the baseline run, then the middle run is with the cam only, and the top run is the cam and 3.4″ pulley. Also on the list of upgrades on this visit was a full BMR suspension package including 1″ lowering springs, a cradle bushing upgrade, toe rods and trailing arms. 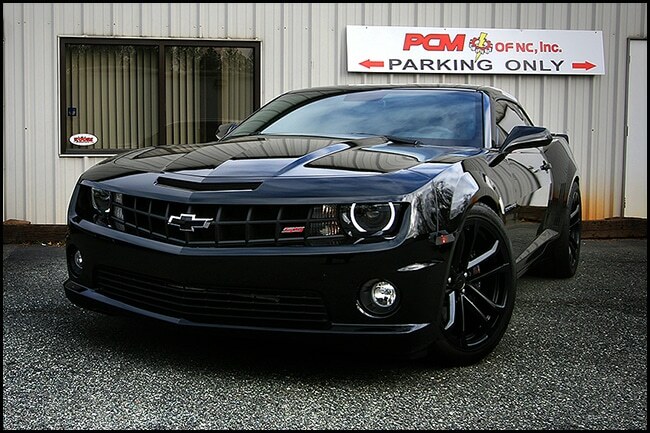 This greatly helped reduce wheel hop in this beast – helping to get more power to the ground! The customer also brought in a set of new ZL1 wheels to finish off this Camaro, making it look even more menacing. To monitor the boost and make sure the AFR is safe, we also installed a set of Sport Comp II 2 1/16″ gauges with an Autometer pillar pod. The fit of the pillar pod is far better than most on the market, and really blends in with the interior.